Paint your nails in style! Bring out the fashion diva in you with these trendy, stylish and vibrant nail paints by Disney. These nail colours are safe for kids and the short drying time lets you get ready in a jiffy. You will adore the rich silky, smooth texture. Additional Information: Bring fun and excitement to your little one's life with exciting Disney character merchandise. The Disney Consumer Product range includes Hand sanitizers, Deodorants, Nail Polishes and many more products in various Walt Disney Characters, all available in attractive packaging that appeal to fans across ages. Explore the entire range of Miscellaneous available on Nykaa. 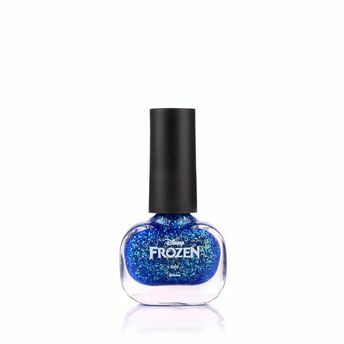 Shop more Disney products here.You can browse through the complete world of Disney Miscellaneous .Alternatively, you can also find many more products from the Disney Frozen Glitter Nail Polish range.